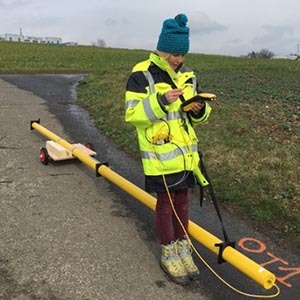 Electromagnetic technology allows ground conductivity measurements without setting ground sensors. The measurements are inductive and this method allows studies in most geological terrains, even for the most resistive superficial layers such as sand, gravel and asphalt. 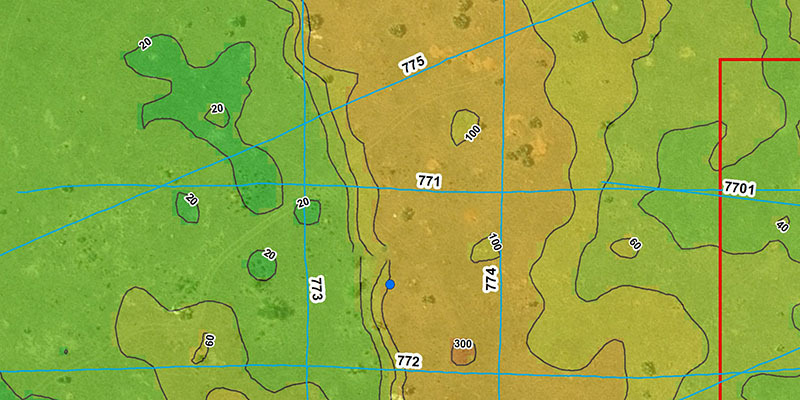 EM can map geological layer variations, contaminated soils and any surface with conductivity variations. Data is acquired by walking or pulling the device on wheels. A primary field is generated by a coil. This induces a secondary field within the ground which is proportional to the conductivity of the terrain. The secondary field is detected and measured in the other coils of the device. The investigated depth depends on the distance between the coils and their orientation. Our novel equipment allows us to overcome EM traditional barriers, which had a limit on investigation depth per measurement. 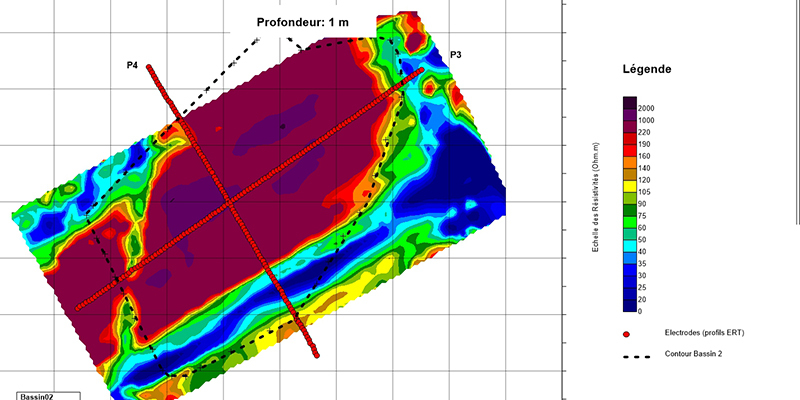 The resulting sections are made through simultaneous measurement at 6 different depths (up to 6m). Detailed information and references for Electromagnetism are available upon request. Please, do not hesitate to contact us.